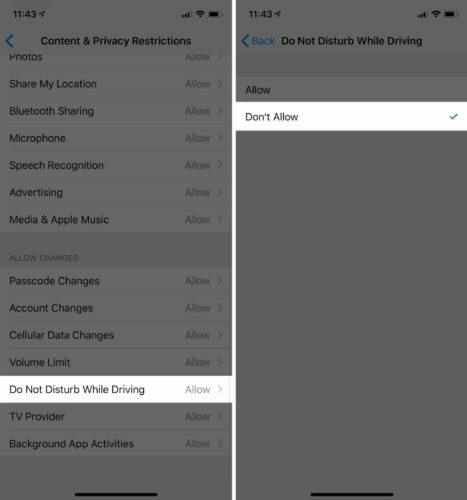 You are at:Home»iPhone»Settings»Do Not Disturb While Driving: iPhone Safety Feature Explained! It’s easy to let phone calls, texts, and notifications disturb you while you’re driving, especially if you own an iPhone. Fortunately, with the release of iOS 11 Apple introduced a new feature that’s designed to keep all drivers safe on the road. 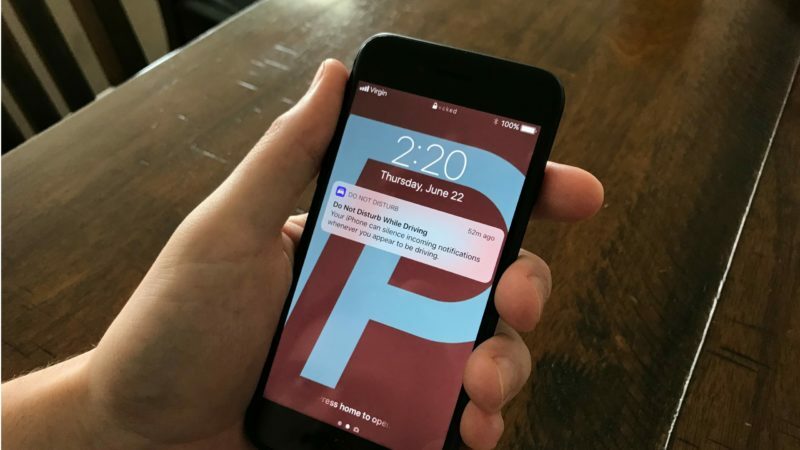 In this article, I’ll explain what Do Not Disturb While Driving is on an iPhone, how to set it up, and how it can help you stay focused on driving. 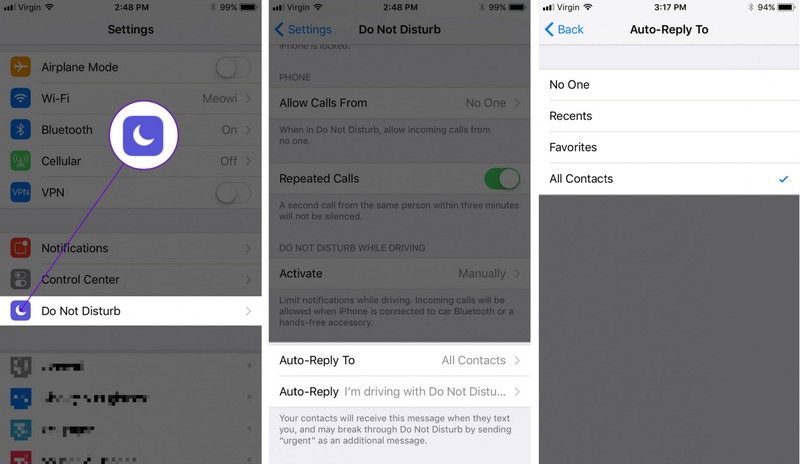 What Is Do Not Disturb While Driving On An iPhone? 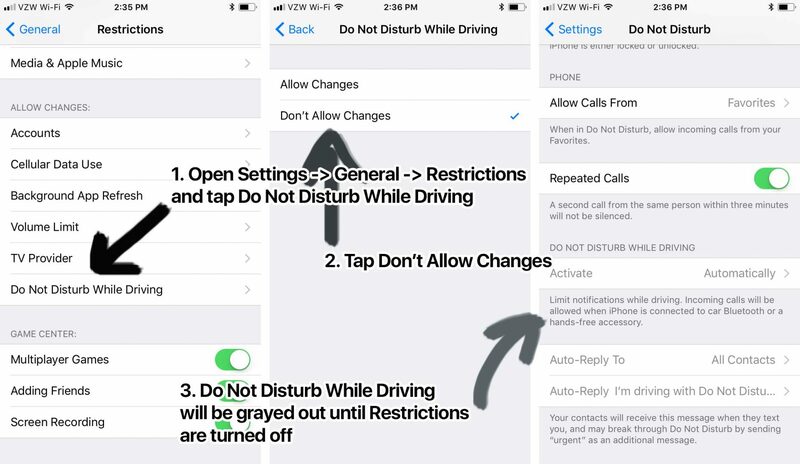 Do Not Disturb While Driving is a new iPhone feature that silences incoming phone calls, texts, and notifications while you’re driving, so can stay safe and not get distracted on the road. Apple introduced the feature in an effort to cut down on motor vehicle accidents caused by distracted driving. Automatically: when Do Not Disturb While Driving is automatically activated, the feature will be turned on when your iPhone’s motion detectors detect that you are in a moving car or vehicle. 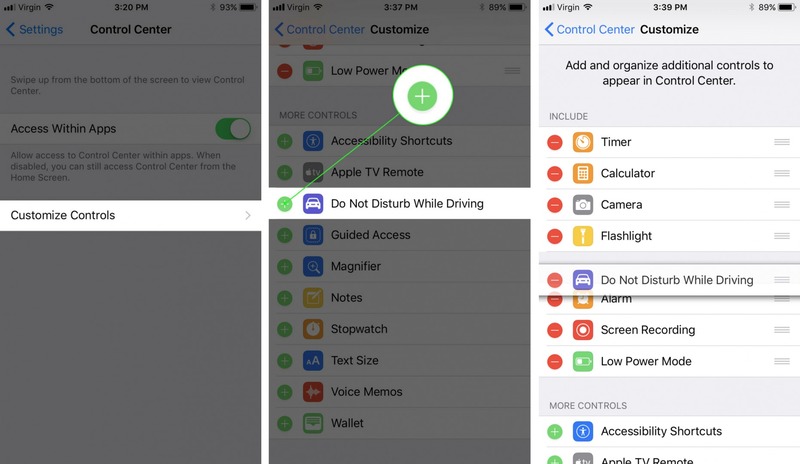 When Connected to Car Bluetooth: Do Not Disturb While Driving will activate while connected your Car Bluetooth devices, including Apple CarPlay. Manually: Do Not Disturb While Driving will activate when you turn it on manually in your iPhone’s Control Center. How Do I Add Do Not Disturb While Driving To Control Center? To add Do Not Disturb While Driving to your iPhone Control Center, open the Settings app and tap Control Center -> Customize Controls. Under More Controls, tap the little green plus button next to the control. Once you do, you’ll see it appear under the Include submenu. You can also rearrange the order of your controls by pressing, holding, and dragging the three horizontal lines next to the control you want to move. Why Is My iPhone Texting People That I’m Driving? Your iPhone sends an Auto-Reply to your contacts who send you a text message while Do Not Disturb While Driving is turned on. However, your contacts can text the word “Urgent” in a second message to bypass Do Not Disturb, in which case you’ll receive the first message immediately. 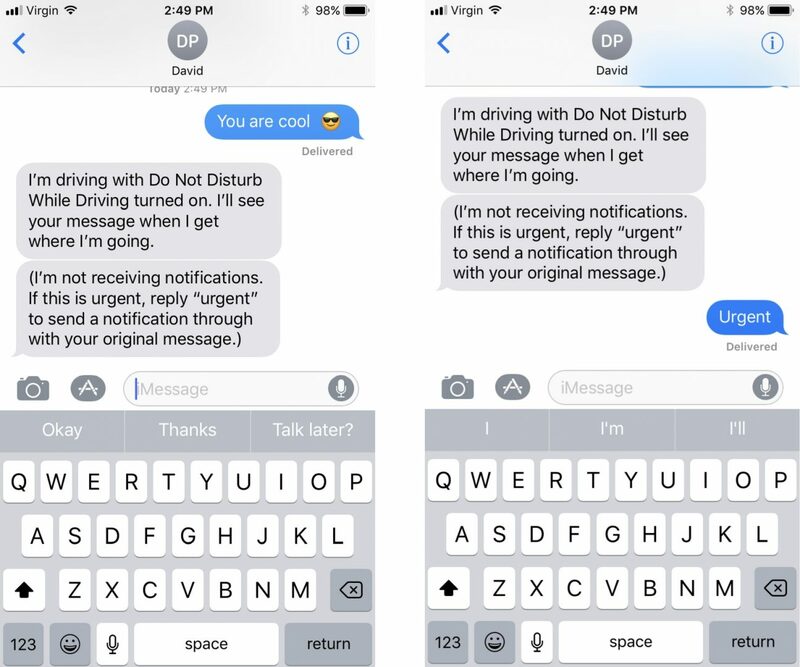 You can choose who receives your Do Not Disturb While Driving Auto-Reply by going to Settings -> Do Not Disturb -> Auto-Reply To. Then, you can choose whether you want No One, Recents, Favorites, or All Contacts to receive your Do Not Disturb Auto-Reply. You’ll see a little check mark appear next to the option you select. How Do I Change The Auto-Reply? To change the Auto-Reply, open up the Settings app and tap Do Not Disturb -> Auto-Reply. Then, tap the Auto-Reply text field, which will open up the the iPhone keyboard. Finally, type the message you want people to receive when they text you while you’re driving. If you’re the parent of a teen driver and you want to make sure Do Not Disturb While Driving stays on while your kid is behind the wheel, you can use Restrictions to prevent your teen from turning it off. Restrictions are essentially the built-in parental controls of the iPhone. How Do I Stop My Child From Turning Off Do Not Disturb While Driving? Restrictions was moved in iOS 12 to the Screen Time settings. Open Settings and tap Screen Time -> Content & Privacy Restrictions. Next, scroll down to Do Not Disturb While Driving and tap on it. Finally, tap Don’t Allow. This will prevent your teen driver from manually turning off Do Not Disturb While Driving. Open the Settings app and tap General -> Restrictions. Turn on Restrictions, then scroll down and tap Do Not Disturb While Driving. Here, you can select Don’t Allow Changes and prevent this setting from being changed. Now, only people who know the Restrictions passcode will be able to turn off Do Not Disturb While Driving. 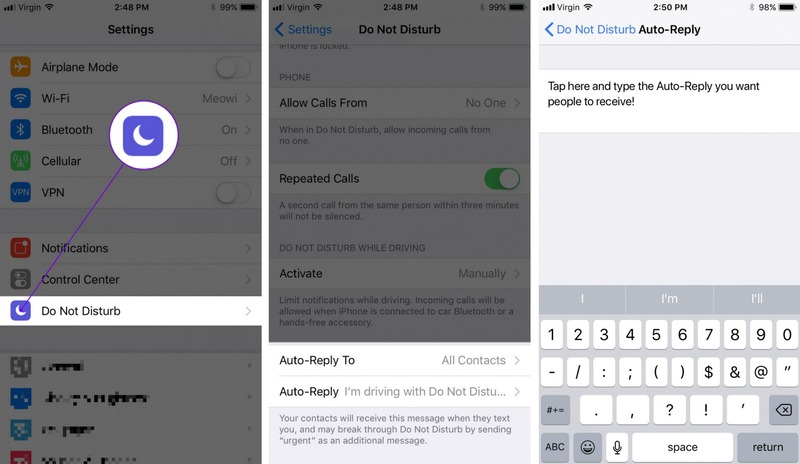 You now know what Do Not Disturb While Driving is and how you can set it up on your iPhone! We hope you’ll share this iPhone tip on social media so your friends and family can drive distraction-free. Thanks for reading this article, and feel free to leave us a comment down below if you have any other questions. Previous ArticlePodcasts Not Downloading On iPhone? Here’s The Real Fix! Next Article iPhone Not Making Calls? Here’s Why & The Fix!